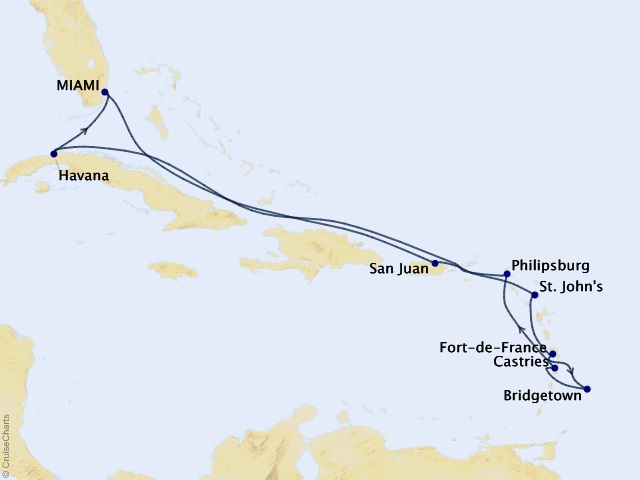 Departing from Miami on December 10, 2020, prices starting at $3,999. 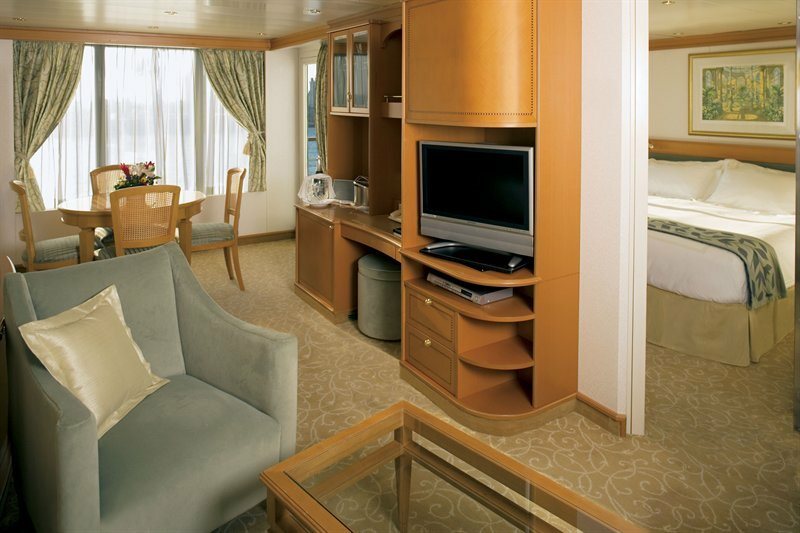 Seven Seas Navigator has few equals, as all her accommodations are suites with ocean views, the majority with private, furnished balconies. 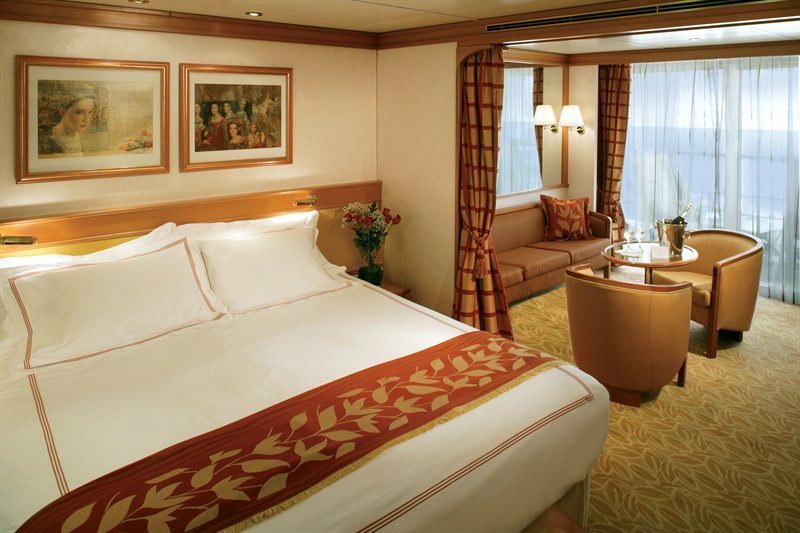 Guests who sail in one of her 245 suites enjoy an exceptional level of service by a warm and friendly crew at an extraordinary ratio of 1 to 1.42., an unusual level of luxury and some of the highest space and service ratios at sea. The intimate ship--the smallest in Regent's fleet--makes an ideal home base for destination-intensive exploration, with just enough variety in dining and entertainment to keep your interest, without getting in the way of the ports you came to see. The three gourmet restaurants, including the iconic Prime 7 steakhouse, allow you to dine wherever, whenever and with whomever you choose, at no additional charge. 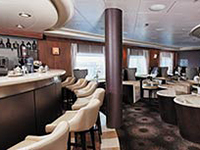 Located on Deck 6 within the Navigator Lounge, guests enjoy complimentary coffee drinks prepared by our baristas, as well as delicious pastries, gourmet sandwiches and homemade cookies. Additionally, international newspapers and news magazines are made available. This venue is the perfect destination to relax, converse and enjoy coffee and snacks throughout the day. This is the perfect setting to enjoy breakfast, lunch and dinner. 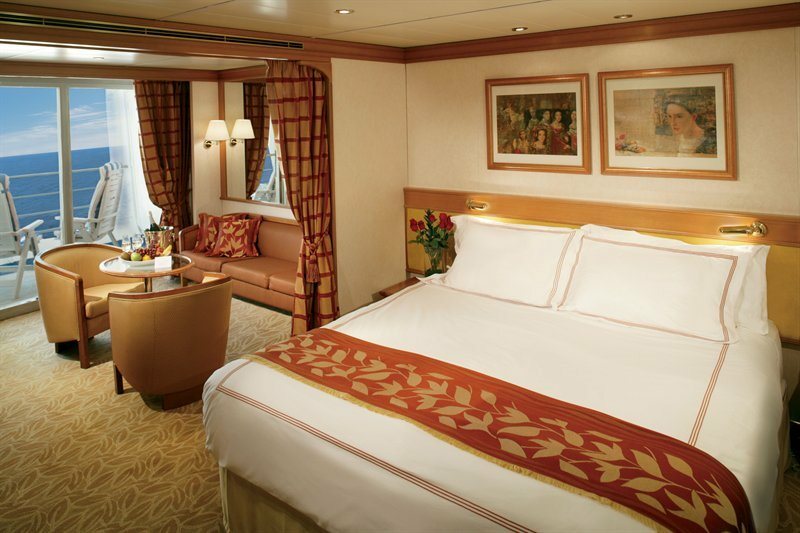 Located on Deck 5, Compass Rose delights with a beautifully defined atmosphere and transitions from refreshing natural light during the day to a romantic theme at night. The new dinner menu is so encompassing and customizable that it provides guests with a seemingly endless combination of dishes to choose from such as meat, fish and seafood items, prepared to taste, garnished with a sauce of choice and complemented with side dishes and accompaniments. 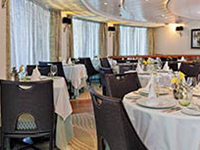 Additionally, each evening the ship’s Executive Chef creates nightly specials, which adds more than a dozen mouthwatering appetizers, pasta dishes and entrée choices to the menu. 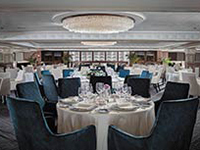 Located on Deck 10 aft, guests take in stunning ocean views while enjoying elegant breakfast and lunch buffets in the chic indoor dining room or al fresco on the shaded, open-air deck. Breakfasts include traditional favorites, as well as a made-to-order omelet station, a variety of fresh fruits and pastries, along with daily specials, like fluffy Belgian waffles with fresh blueberry compote. 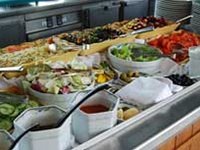 For lunch guests indulge in an array of choices from a bountiful salad bar, gourmet sandwiches, hot carving stations and delicious desserts. The ultimate come-as-you-are dining venue, the Pool Grill couldn’t be more casual. 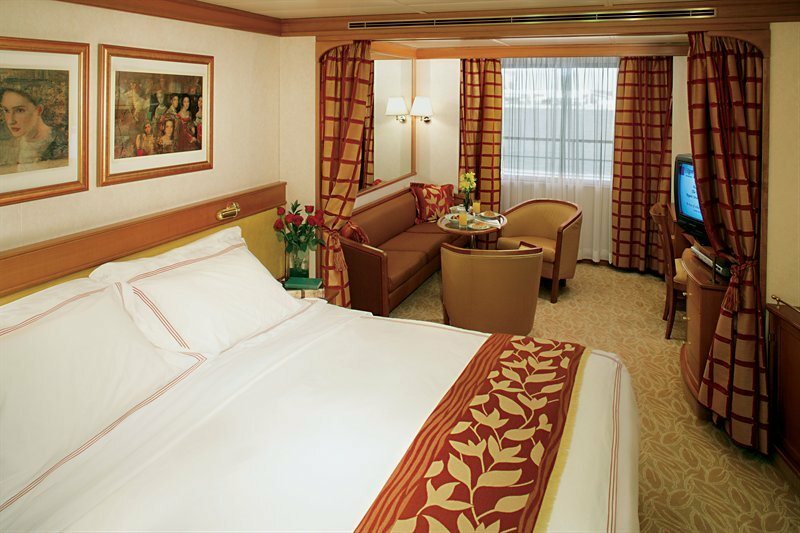 Located on Deck 10, guests may walk over straight from sunbathing or swimming in the pool. The Pool Grill is open-air, yet abundantly shaded for comfortable dining. Enjoy grilled-to-order burgers, grilled seafood, sandwiches and fresh salads. Guests enjoy milk shakes, malts, and hand-dipped ice cream desserts sprinkled with all their favorite toppings. A true classic in every sense, Prime 7 sets a new standard in steakhouse fare with its contemporary interpretation of an American favorite. Located on Deck 10, the restaurant is handsomely decorated with supple leather wing-back chairs, burnished woods and rich earth-toned fabrics, Prime 7 exudes a distinct, intimate elegance. This is glamour redefined, a luxurious setting to enjoy classic steakhouse cuisine with a modern flair. Prime 7 is open for dinner each evening, reservations are required. Sette Mari at La Veranda:	In the evenings, La Veranda transforms into the warm and inviting Sette Mari at La Veranda, where tables are candlelit to match the star-filled skies. The menu also transforms into a tantalizing journey of alluring antipasto, perfect homemade pastas, enticing main courses and divine desserts hailing from all over Italy. 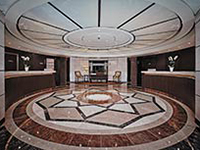 The beautifully decorated Card & Conference Room is an inviting and tranquil oasis. 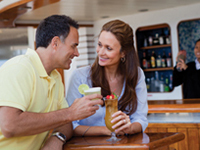 Guests may gather their favorite teammates for lively afternoon or evening of board games, as well as enjoy a social game of Bridge or participate in an ACBL Tournament on select voyages. The Card & Conference Room is located on Deck 6. Well-stocked and exceedingly comfortable, the Library offers a calm setting for reading and relaxing. A vast collection of volumes ranging from destination-specific guide books to best-selling mysteries to classic literature are available. 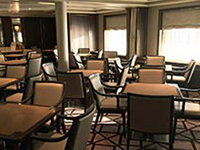 Seven Seas Navigator offers FREE WiFi access throughout the ship, however if a guest prefers to travel without a laptop, the Library offers several desktop computers. The Library is conveniently located on Deck 6 mid-ship. Guests lounge their day away under the warm sun and an unforgettable vista on our Deck 10 Pool Deck. 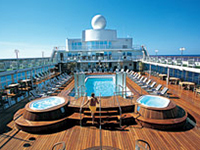 Outfitted in teak accents, the Pool Deck is one of the most elegant at sea, featuring a lavish pool and two whirlpools. Amiable and dedicated crew is readily standing by to bring refreshing beverages and plush towels. Located on Deck 10 outside area by the pool, guests can enjoy refreshing cocktails and frozen drinks expertly prepared by our Mixologists in the relaxed atmosphere of the Pool Deck. CASINO For those in the gaming mood, a few hands of blackjack in our elegantly appointed Casino are the perfect draw. 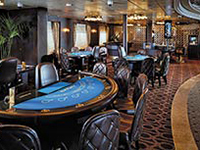 The Casino is located on Deck 7, and is open every day at sea when not restricted by territorial border limits. Blackjack, roulette, stud poker, mini-craps and slot machines are offered for our guests' enjoyment. 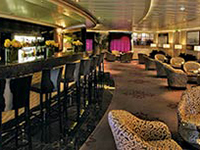 Located on Deck 11 aft, Galileo's is the ideal place for cocktails or to simply relax and unwind with an after-dinner drink. Our resident musicians entertain with familiar tunes during teatime as well as before and after dinner, with an opportunity for dancing. Game shows, night entertainment and live musical events are featured regularly. 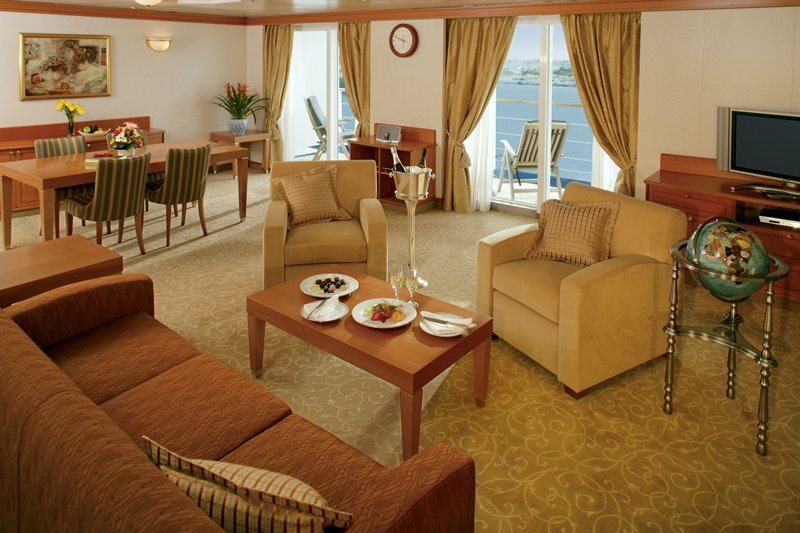 Located on Deck 6 mid-ship, the Navigator Lounge is a friendly gathering place that welcomes you after shopping, touring or for simply relaxing. 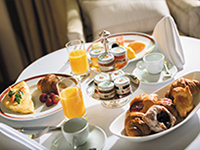 It offers an informal Early Riser Continental Breakfast where you can enjoy a cup of coffee, espresso, cappuccino, latte or tea accompanied by a selection of pastries and a variety of fresh juices. 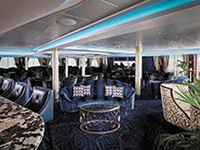 Located on Decks 6 and 7 aft, the Seven Seas Lounge is perfectly tiered for unobstructed viewing and furnished with plush seating. This main show lounge is an intimate venue where every seat is the best seat in the house. 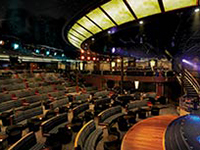 The phenomenal variety of entertainment here includes full-scale musical revues, such as The Great American Song Factory, which is a glimpse into the hit-factory that was The Brill Building, and Goodbye Yellow Brick Road, a foot-stomping musical journey through some of the greatest hits from the Elton John songbook. 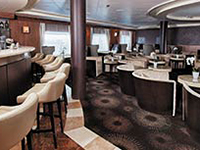 Located on Deck 6 aft, the Stars Lounge is an ideal place to meet friends and fellow travelers for an after-dinner drink or late night cocktail. This is the place for those night owls wanting to dance into the night or maybe sing along in a karaoke competition. Welcome to the ultimate indulgence: a day at the serene Canyon Ranch SpaClub®. Located on Deck 12 forward, guests can choose from an array of experiences such as signature massages and therapeutic bodywork, aromatherapy, ayurvedic and seaweed treatments, as well as facials. Guests may also choose from an extraordinary selection of luxurious beauty treatments, including hair care, manicures, pedicures and more available in the salon. View a complete listing of services. 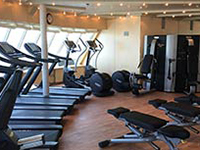 In addition to planned activities in the Fitness Center, guests may take advantage of other sports-related activities throughout the ship. 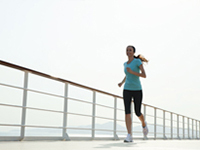 Deck 12 provides shuffleboard and mini-golf, while Deck 11 offers a full-circle jogging track. Whether looking for something special to wear for dinner or a memento to bring back home, guests may browse through designer garments and fashionable accessories in our shops. 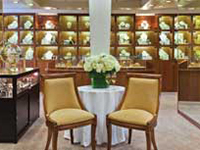 The Boutiques offer a wide range of items from upscale handbags to exclusive fragrances to fine jewelry in an intimate and unhurried setting. The Boutiques are located on Deck 7. 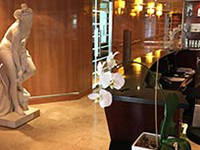 Our guests’ every wish, whim and want can be fulfilled at our welcoming Reception Desk on Deck 6 in the Atrium. Open 24 hours a day our office staff is happy to answer questions. 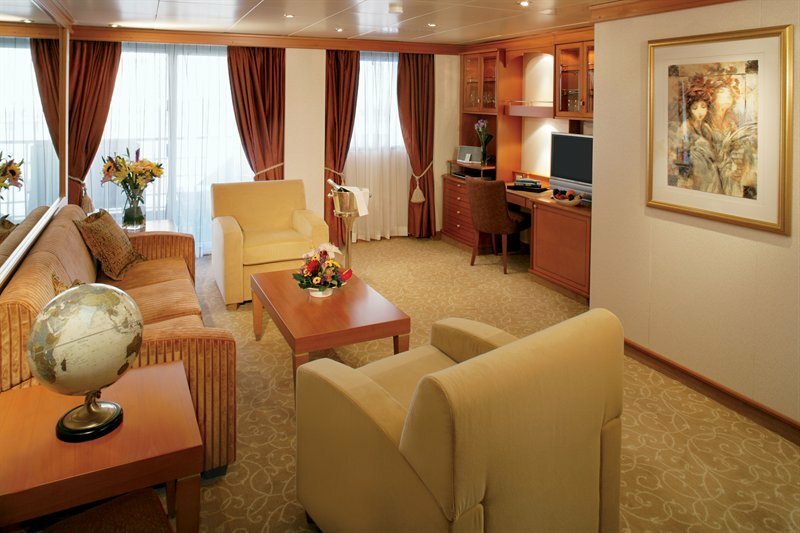 The ship’s Concierge can be contacted at the Reception Desk as well. He or she is eager to provide guests with general assistance. Part of what makes a cruise with us so rewarding is the way we augment traditional shipboard activities with bridge instruction and other enhancements. 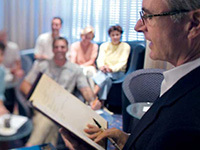 We also offer an excellent lecture series on select voyages. Lecturers provide insight and perspectives far beyond what you would read in the average guidebook. Many of our speakers have first-hand knowledge of these locales, and most come from the foreign service and leading universities, or perhaps from the world of the arts or journalism. 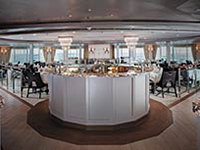 Each voyage aboard Regent Seven Seas Cruises is unique, with special activities tailored to the region and season. 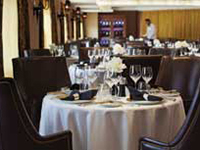 Guests can watch celebrated chefs prepare signature dishes during demonstrations and, aboard Seven Seas Explorer®, they may learn essential cooking techniques at the Culinary Arts Kitchen. 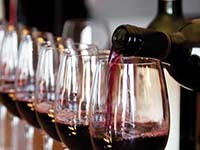 They can golf by day, dance by night, and partake in a host of recreational pursuits, as well as sip and savor their way through some of the world's greatest wine regions and the merriment of holidays and with decadent onboard celebrations. This special series of cruises focuses on learning about and exploring the world around us. 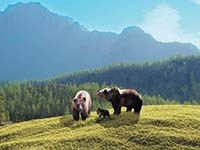 Guests gain perspective on our environment, rare locations on our planet, and even destinations beyond Earth. Respected scientists and explorers will share their unique perspectives on where we came from and where we are going next. The Smithsonian Collection by Smithsonian Journeys is an engaging onboard enrichment program led by a wide range of experts, from noted art historians to leading authors to former diplomats, who are eager to share their first-hand knowledge and expertise. More than a lecture series, this program is completely interactive. Smithsonian Journeys Experts sail for the entire duration of our voyages, allowing for the exchange ideas and social interactions on personal level, from dinners to cocktail parties, in addition to attending insightful talks. 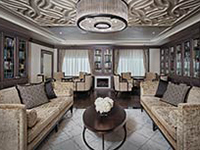 Navigator Suites includes Butler Service; 495 sq.ft. ; 448 sq.ft. ; Balcony: 47 sq.ft.